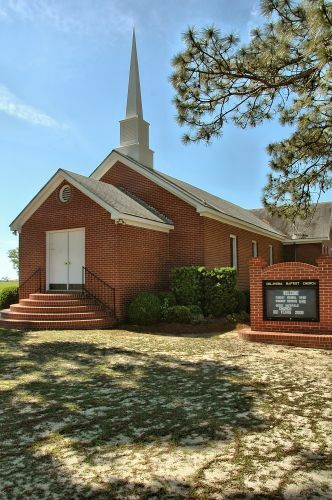 This congregation in the Double Run community was established in 1909. 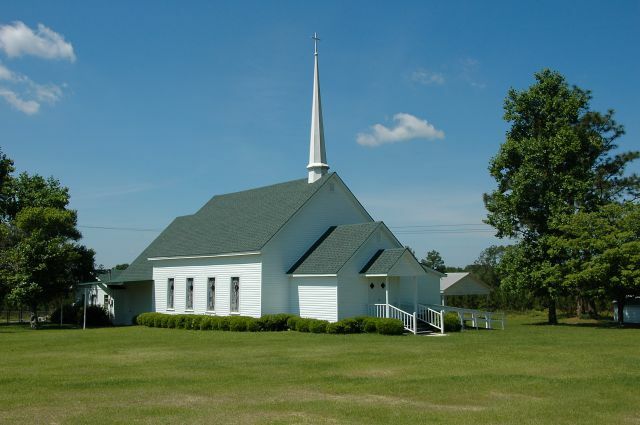 Here’s a nice memory from Wally Calhoun: “I remember as a little boy going to this church with my grand parents Dan and Lois Calhoun when my family would come visit. Virginia Calhoun Spradley and Barbara Calhoun Schmauzer are my aunts. My grandfather was the music minister here. Sometime around the early 70′s I remember going early to the church with him to get ready for the morning service and he handed me a couple of bathroom tissue rolls and told me to be sure both outhouses were stocked with tissue.. Yes, outhouses“. 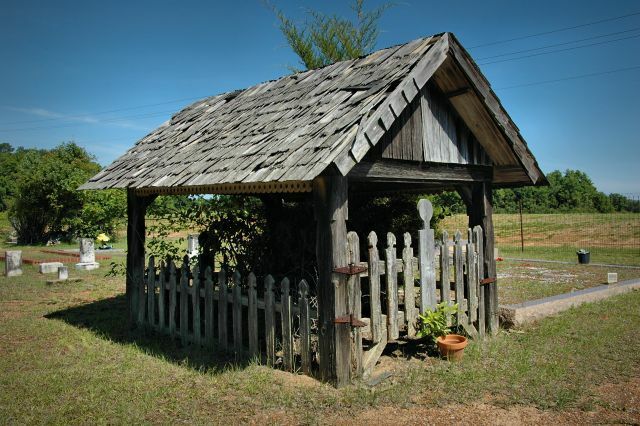 This is located in the Oklahoma Baptist Church cemetery. 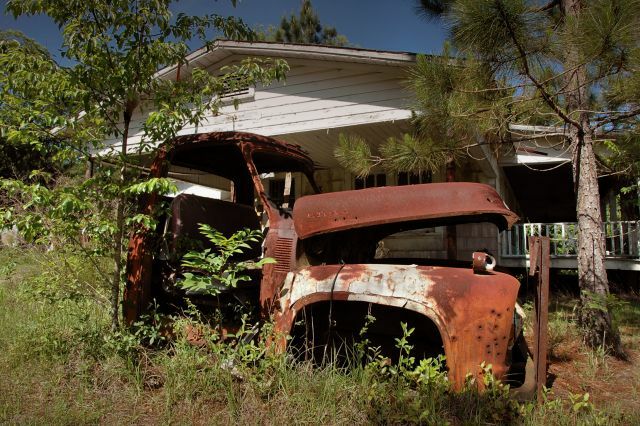 Diane Gilbert writes that this was her grandfather, Herman Moore’s, farm and truck, after he moved out of the smaller house just down the road. Leon Calhoun writes: Herman Moore & later his son Jack Moore lived in this house in the 1940’s & 1960’s. 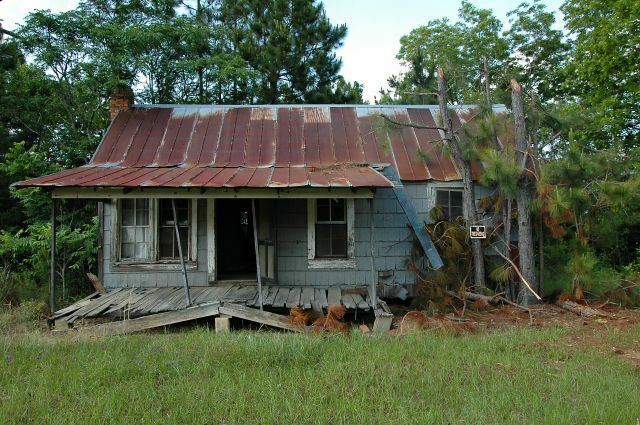 Diane Gilbert confirms: This house did indeed belong to Herman Moore (my Grandfather…..aka “Bigdaddy”). In the early years, he lived there with my Bigmama….. aka Beulah Moore, and their 3 children…..Jack, Leo, and Mogene. Later on, he built and lived in the house shown and titled as “Abandoned Farm Truck”, and my uncle Jack lived in this house until his death.